Apple expanded international availability of its Apple Music streaming service on Wednesday with a rollout in Israel, allowing customers in the region to sign up for a three-month free trial via iTunes on Mac and the dedicated Music app on iOS. 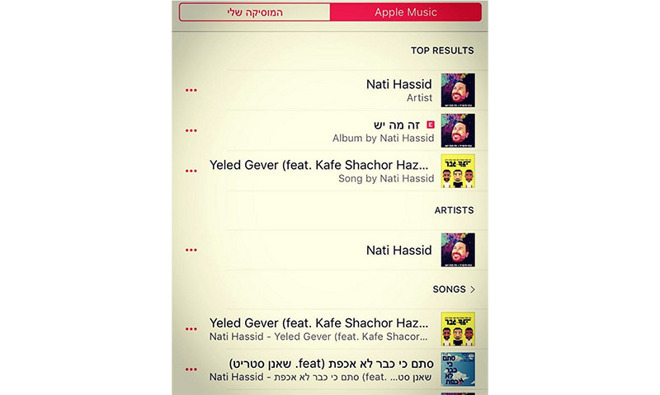 While Apple's regional website has not yet been updated to reflect current availability, users in Israel reported a start to Apple Music services early this morning. Like past rollouts, customers are met with an Apple Music advertisement landing page in the Music app on iOS and in iTunes for Mac, both of which contain links to an account creation form. In Israel, Apple Music is priced at 19.90 Israel Shekels (about $5.20) per month for an individual plan or 29.90 ISL for a family plan of up to six users. The cost is well below U.S. price tiers, likely due to content licensing negotiations, but roughly equivalent to other international markets. As with previous Apple Music launches, users in Israel can test drive the service for three months before committing to the monthly fee. Apple Music was announced more than one year ago at Apple's Worldwide Developers Conference in June of 2015, and launched later than month in more than 100 markets. In light of stiff competition, Apple's fledgling streaming service has since accumulated over 15 million subscribers, putting it ahead of smaller companies like Tidal, but behind industry leader Spotify's 30 paying customers. Looking ahead, Apple Music is said to be nearing release in South Korea. Reports from the country claim Apple recently inked a deal with a local music federation to pay out royalties to artists, though the company still needs to secure agreements with distributors and national copyright organizations. For existing users, Apple most recently announced an upcoming app redesign set to roll out this fall for iOS, Mac, Windows and Apple TV. The streamlined interface will be easier to use, with quick access to frequently used features and a focus on content discovery, Apple says.